Since establishing Larette Design in the San Francisco Bay Area Jean Larette has been included in the House Beautiful list of the Top Designers in America multiple times. Her project was chosen by Architectural Digest as the winner in the California Open Audition. She was chosen as a finalist in the Benjamin Moore Hue Awards. Jean was selected to the House Beautiful list of the 25 Top Young Designers in America. Her work has been published in House Beautiful, Elle Décor, California Home & Design, C Magazine, San Francisco Magazine, Decorating Spaces, European Home & Gardens, Paper City, 7x7 and The San Francisco Chronicle among other prestigious publications. Jean has spoken on the topic of design at the San Francisco Design Center, The Pacific Design Center in Los Angeles, Canada College, the CCA, the San Francisco Mart, at Citi Bank Smith Barney. She was the featured speaker at the FTSE conference, at Bernhardt Furniture and at the Michael Taylor showroom during the House Beautiful Color Institute. After teaching a class for the UC Berkeley interior design program entitled “Layers of Luxury - Creating your own Style" she was invited to become a member of the UC Berkeley design advisory council. Jean's projects include a number of residential developments for Related properties including The Paramount in San Francisco and The Westminster in New York. Her current projects include The Parkmerced, The Cove and Serenity. Her recent residential projects include homes in Pacific Heights, Presidio Heights, SOMA, Hillsborough, Napa, St. Helena, Pacific Palisades, Lake Tahoe and Jackson, Wyoming and at the Mauna Kea in Kamuela, Hawaii. 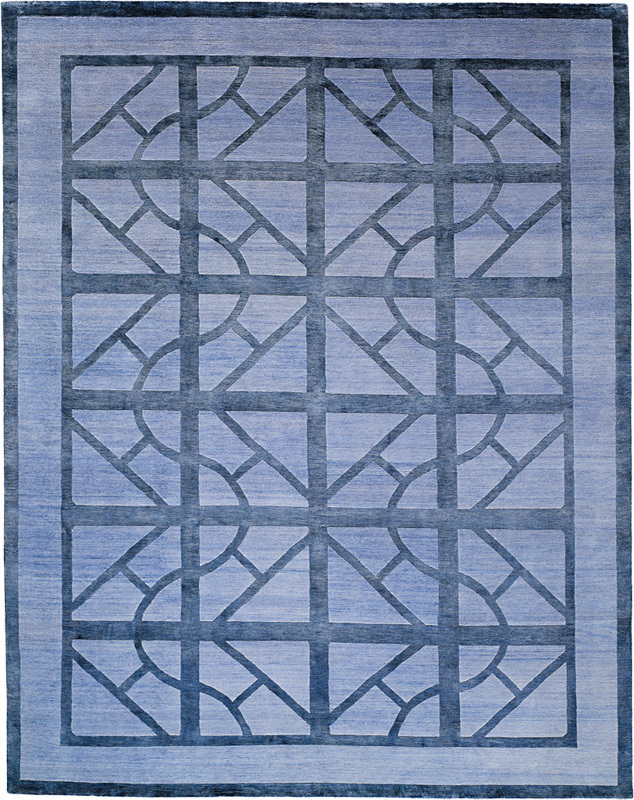 THE CITY COLLECTION, A BEAUTIFUL LINE OF CONTEMPORARY RUGS THAT ARE INSPIRED BY GATES AND SCREENS JEAN LARETTE DISCOVERED WHILE TRAVELING TO VARIOUS CITIES AROUND THE WORLD. 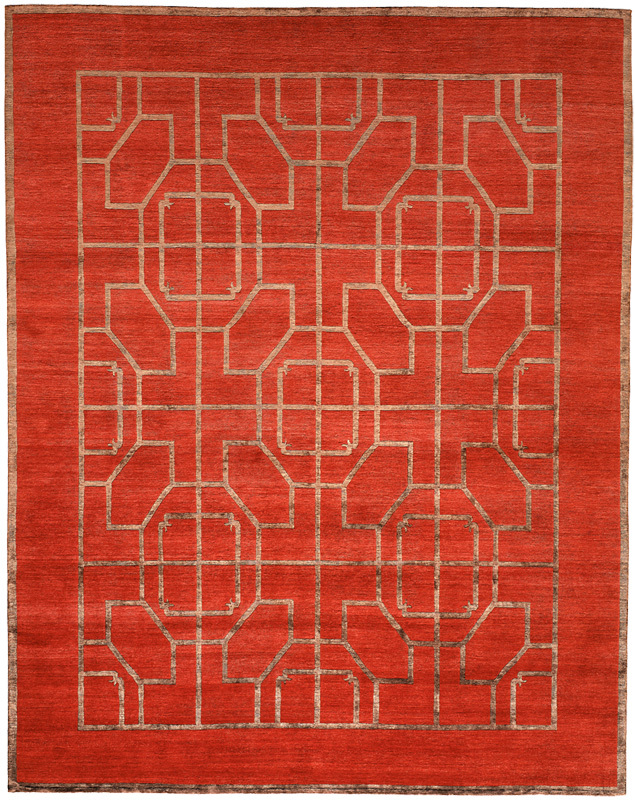 THE WOOL AND SILK RUGS AVAILABLE IN AN ARRAY OF CUSTOM SIZES AND COLORS ARE HAND-LOOMED BY SKILLED ARTISANS IN NEPAL. THE COLLECTION FEATURES FIVE DESIGNS: BRUSSELS, CAPE TOWN, ST. GERMAIN, SHANGHAI, AND PACIFIC HEIGHTS. “CHARACTERIZED BY GEOMETRIC LINES IN ARCHITECTURAL PATTERNS, THE RUGS PROVIDE AN ELEGANT AND SOPHISTICATED FOUNDATION ON WHICH TO BUILD A ROOM,” EXPLAINS LARETTE, THE AWARD-WINNING SAN FRANCISCO-BASED DESIGNER.